TORRANCE — Madame Yoko Awaya and members of her koto music conservatory will present the 38th anniversary Awaya-Kai Koto Concert on 2 p.m. on Sunday, Nov. 3, at the James Armstrong Theatre in Torrance. Madame Awaya is a koto and jiuta sangen instructor and performing artist who has concertized throughout California and the United States. 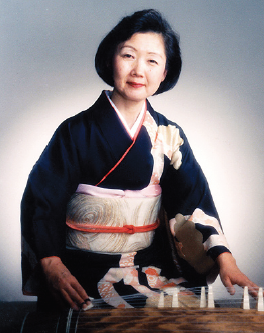 She graduated with her teaching and master’s degree from the famed Michio Miyagi School of Koto in Tokyo. She will be joined by special guest artist from Japan, shakuhachi master Kaoru Kakizakai. Okinawan language expert, sanshin player and media personality Byron Fija will serve as master of ceremonies. James Armstrong Theatre is located at 3330 Civic Center Dr. in Torrance. Tickets are $25 presale, $30 same day. For information and tickets, contact Awaya-Kai at (310) 329-5965 or Margarita Lee at (310) 376-0097.